The Neu table is the latest addition to the Neu series by Hay. The table consists of a square tabletop made of powder-coated steel and a table leg with a four-star base in cast aluminium. The round Neu table is suitable for both indoor and outdoor use. The Neu table is characterised by clean lines that give it a simple and subtle appearance, both with a square- or round tabletop. The popular table is ideal in a café or office as well out in the garden or on the balcony. In the kitchen or dining room, the compact table is a real eye-catcher. Isolated product image of the Neu table 70 x 60 cm by Hay in light grey. 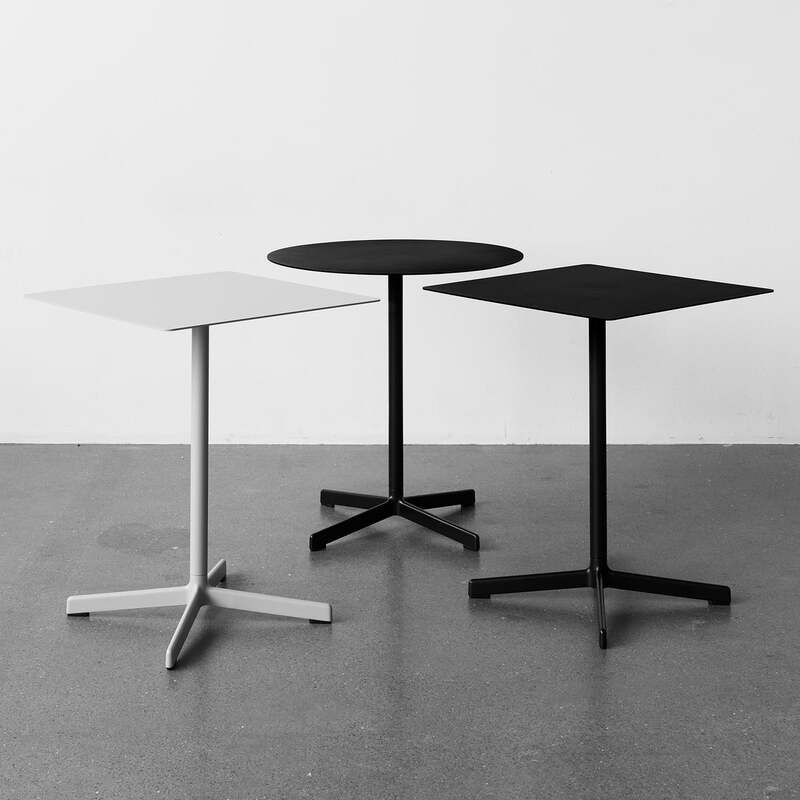 The table with a round table top is made from cast aluminium and powder-coated steel. 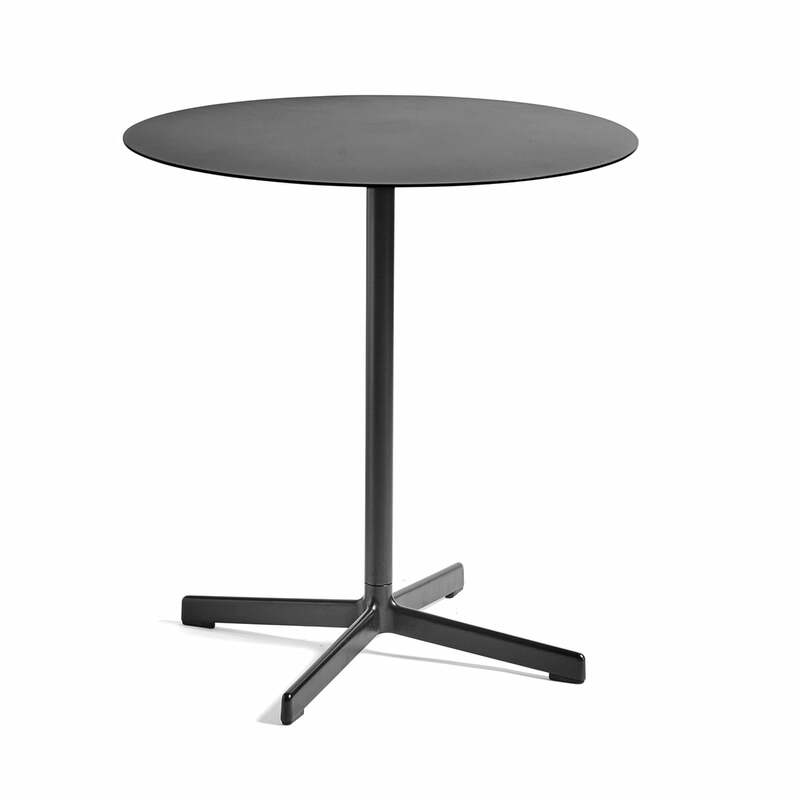 Isolated product image of the Neu table with a diameter of 70 cm by Hay in charcoal. 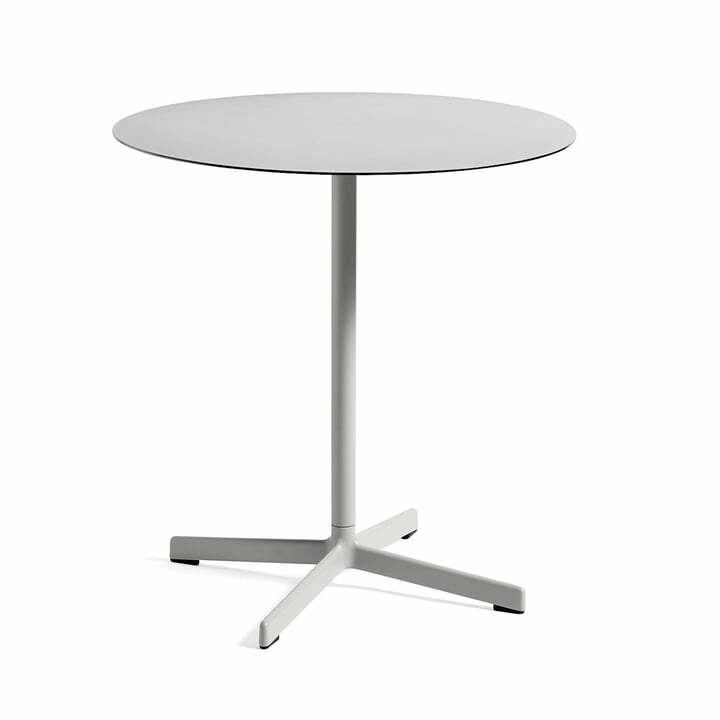 The Neu table with a round tabletop is suitable for both indoor and outdoor use. 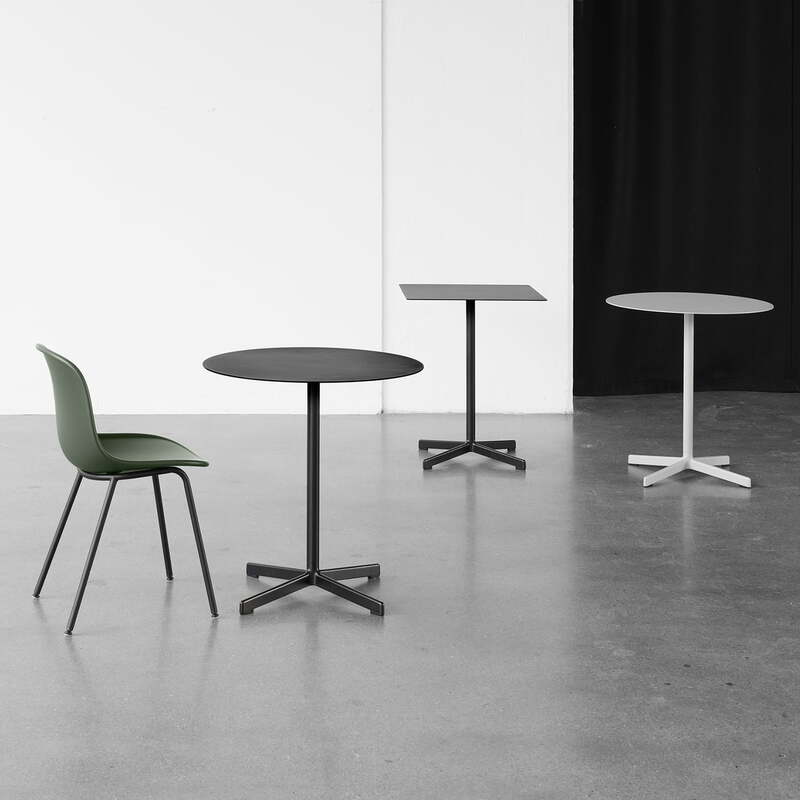 Group product image of the Neu table by Hay: The table consists of a square tabletop made of powder-coated steel and a table leg with a four-star base in cast aluminium. The Neu table is characterised by clean lines that give it a simple and subtle appearance, both with a square and a round tabletop. The popular table is ideal in a café or office as well in the garden or on the balcony.